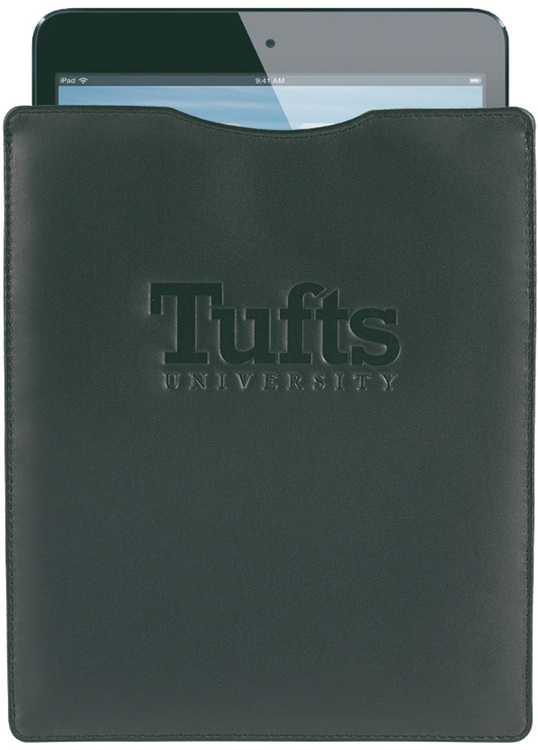 Hold your tablet safe in this padded leather tablet sleeve. 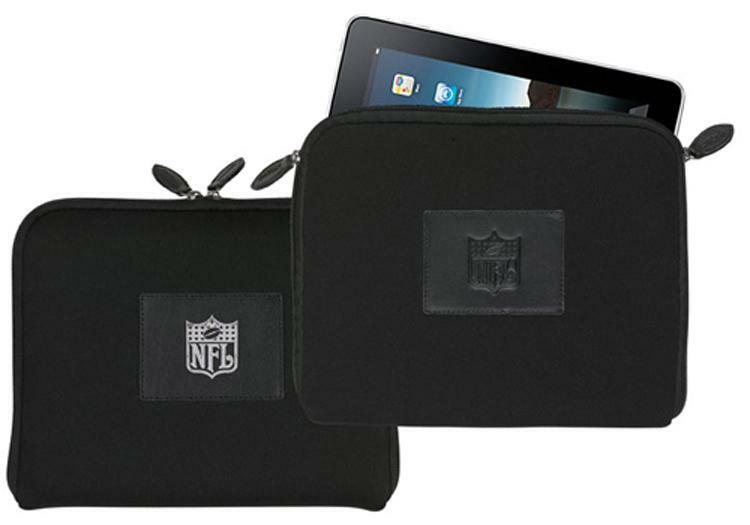 Our padded tablet sleeve is designed to carry a Samsung Galaxy, iPad, or similar sized tablet. The soft inner fabric will protect your device from scratches. 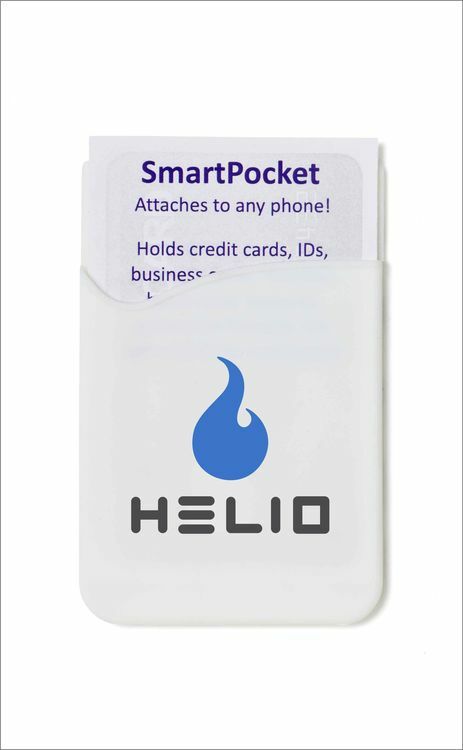 Give the sale of your new line of smartphones a boost with this smartpocket for any mobile device. This silicone accessory attaches securely to the back of most mobile devices via brand name self-stick adhesive. 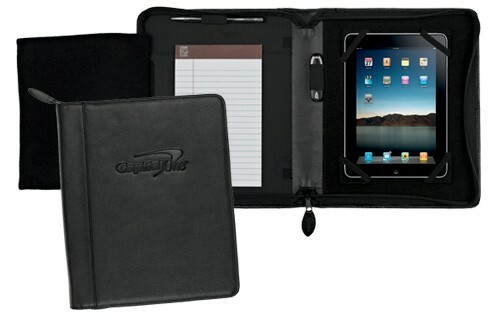 It's ideal for holding anything from credit cards, to driver's licenses, to gym club cards to spare cash and more. It's a great way to travel efficiently and lightly when the need arises. Card strips are protected from deactivation. SPECIAL CLOSEOUT PRICING WHILE SUPPLIES LAST! 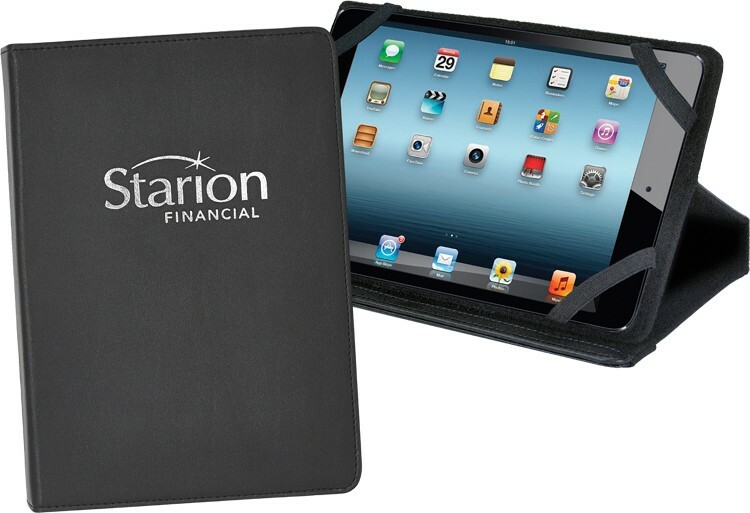 The Strong neoprene iPad sleeve provides excellent protection and unzips on three sides for easy access. 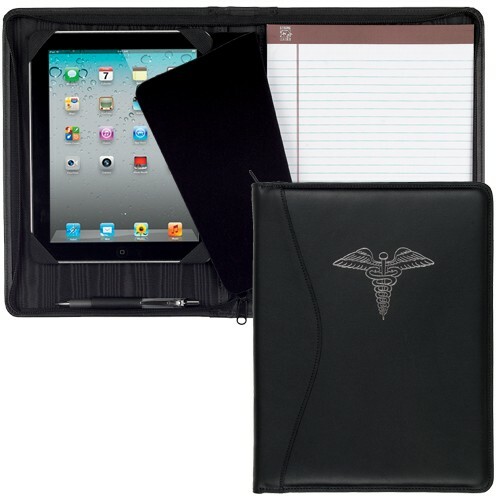 Holds iPads or netbooks safe and secure with a sturdy zippered closure and leather zipper pulls. Feature your logo on the leather patch imprint area. SPECIAL CLOSEOUT PRICING ON ORDERS OF 12 OR MORE WHILE SUPPLIES LAST! 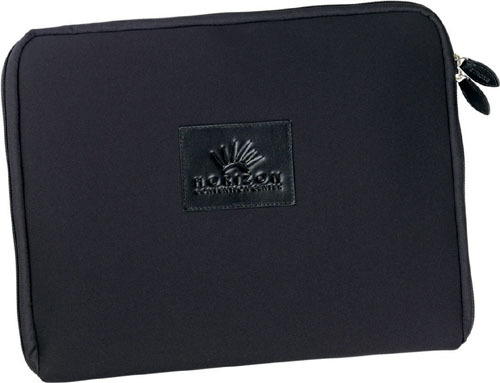 Constructed with the same quality as our neoprene laptop sleeve but with sturdy handles and a padded handle wrap closure. Offered in the 3 popular sizes and lightweight enough to carry your laptop anywhere without being weighed down. See Strong Leather Product #'s 4813, 4814, 4815, 4816 ,4817, 4818 for different sizes and options. Adjustable stand is designed to hold iPad Mini®, Kindle HD and other 8.5"or smaller devices. 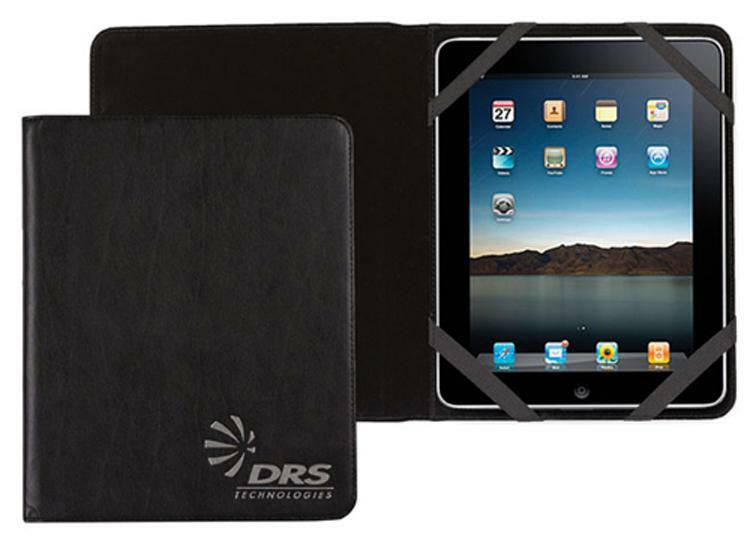 Velcro mounting corners, adjustable angle viewing along with a secure strap closure for easy transporting.